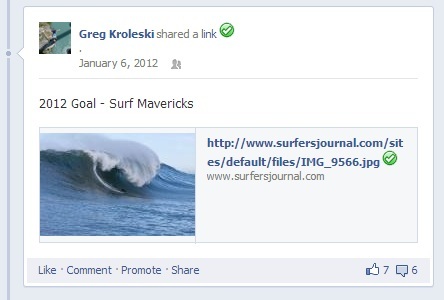 In 2012 I challenged myself to surf Mavericks and consume less. That was v1.0 of my yearly focus. Since then the process, one I call my ‘yearly focus’ has become more specific and better documented. Here are details on my newest iteration of creating a yearly focus. Since I haven’t succinctly documented the iterations anywhere, here is a quick run through of what I’ve done so far. I mentioned v1.0 above was having goals, that started in 2012 with a few Facebook posts. In 2013 I realized I needed to write down & report on my yearly challenges to create accountability for myself. That was v1.1. I broke it up into a challenge, goal & theme. I have been blogging about that under the category ‘Yearly Focus’ regularly since then. In 2014 I played around with the items a bit to hone the process. That was v1.2. I made the goal something that had to be quantifiable – that year was reading 24 books. I also tried changing the challenge to be something with levels of completeness, but ultimately dropped that to keep the challenge binary. In 2016 I added a new item to the mix for v.1.3, the exemplar. This new category was a way to name someone specific that I would be studying for the year in order to learn from their thinking, habits and beliefs. I am iterating on this framework a bit this year due to overcommitment last year with v1.3. I learned that having four items that focus on different things was a good way to ensure overcommitment and ultimately failure. This year I am bunching the topics closer together to increase my chances of success and the magnitude of the impact I can achieve. Theme – A central topic for the year – something I believe is important and that I want to spend time thinking about and take a few concrete efforts towards. e.g. living in community or defending freedom. For v1.4 the thing I am changing is nesting the other items under the theme. I realized in 2016 that my theme was only nominally related to my exemplar and goal, which meant those three items were essentially pulling me in three different directions. Any hour of time I devoted would go towards one and not the others. The result is that the magnitude of my impact on each was lessened. In order to make the impact much more substantial I am going to make sure my yearly focus is actually focused. 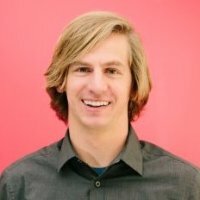 Challenge – Something related to the theme that I have never done before and want to accomplish for the first time. Accomplishing it will be binary, but new for v1.4, I am going to add tiered results – essentially levels of stretch goals to aim for after I achieve the initial binary result. I experimented with back in 2014 when my challenge was completing an Ironman – I realized that finishing wasn’t much of a challenge for me so I set stretch goals of finishing in certain times and places. I really liked how that stretched me. New to v1.4 I am also introducing artificial limiters. As I’ve attempted a number of these challenges I’ve realized that the limiter to my final result is often the time and money I’m willing to invest. That puts continual strain on a number of my key relationships as I try to make daily trade off decisions. Introducing pre-negotiated limiters is a change that is required to make this sort of yearly challenge a sustainable endeavor while remaining in those relationships. I had success implementing limiters in the latter half of my 2016 challenge. I decided to only run three days a week as opposed to 5-6. That forced me to further innovate my training plan. The result is that I felt I got 85% of the results with ~10% of the relational stress. Habit – Something related to the theme that I want to take action on. Usually something I have done before but that I want to focus on in order to do it more frequently or with better results. These habits are things I want to build into my life long term an my hope is that by intentionally focusing on it for a year, the behavior will stick. It should be measurable.e.g. if my theme were health & fitness, a goal might be ‘exercise X times per week’ or ‘decrease sugar consumption to <X grams per day’. The habit might be to do the thing continually throughout the year, as is the case with ‘exercising X times per week’ or it might be to slowly improve and measure the change in the final weeks or month of the year – as would be the case with the sugar consumption metric. I used to call this my goal, but I realized that goal is too generic of a word and really all of these yearly focus items count as a goal in some way. After looking at my past few years I realized that habit was a better word to describe this. Exemplar – A person that exemplifies the values or principles of the theme or who is admirable for their pursuit of it. As I think through the theme, this will be someone I might spend time reading the writings of or if available, spend time learning from directly. I will model habits from them, dissect their thinking and generally become inspired by their focus in the area. After spending time I will learning a bit more about their thinking I will put a few of their ideas into practice. If, for example, my theme were leadership, I might select an successful leader like George Washington or Martin Luther King Jr – I would then look for ways to implement a few of their successful behaviors.